Here’s a fun & simple little project from illustrator Estéfi Machado for the kids to enjoy this holiday season. 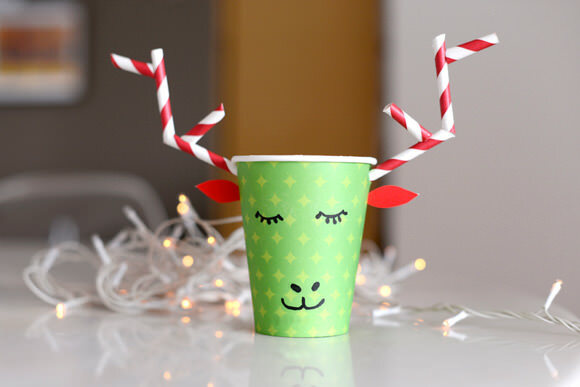 All you need to make this cute little reindeer is a cup, a paper straw, and red card stock. 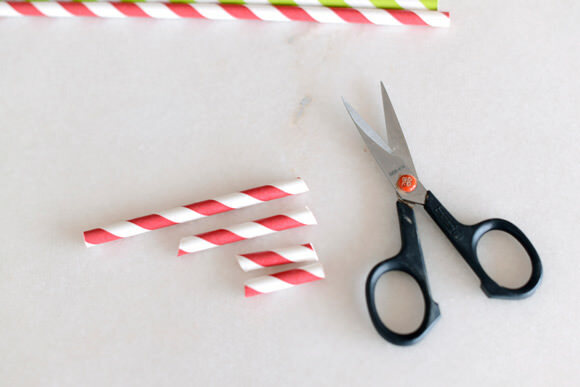 Cut each paper straw into four parts: 1 large, 1 medium, and 2 small (as pictured). Make diagonal cuts, as this will make the antlers easier to assemble. 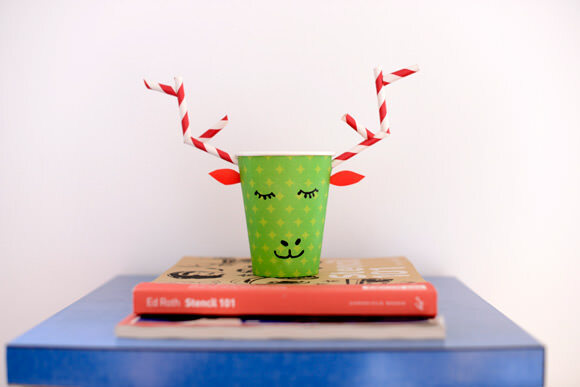 Using either a hot-glue gun or instant glue, assemble the antlers and then attach them to the side of the cup. 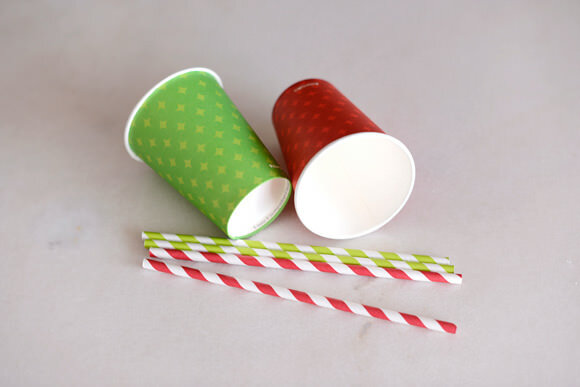 Cut the ears using red card stock and attach to the cup as well, just underneath the antlers. 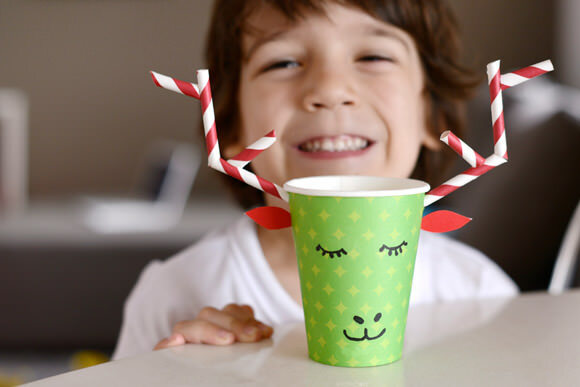 Using a black permanent marker, draw a face for your reindeer on the front of the cup. That’s it, enjoy your festive little friend! This is so adorable! I love the thought this took. I love this!! I am planning a family Chrismas party and this would be so much fun to make for all of the little ones! I would definitely be the favorite aunt. Thanks for posting this creative project. Ooooooh! They are so cute and easy to do. 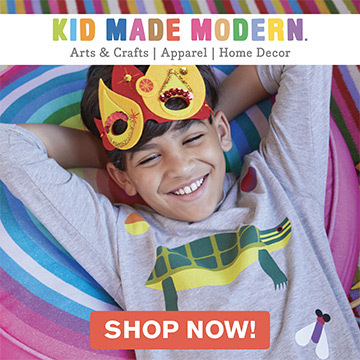 Yeah, great craft for kids, but also fun as holiday party decor.